Uttarakhand State has come into being at a time when its extraordinally well-placed to benefit from the new information economy as it is able to play by the rules of the new era and is responsive to the demands of the global services economy, which when it seeks the best locations for itself looks for several factors. if a clean and pollution-free environment is going to serve as a competitive advantage it stands to reason that the new state will do everything it can to promote it. this might include a programme to encourage cleaner, environment-friendly transportation systems and efforts at large scale afforestation. With the Special Concessional Industrial Package granted by Government of India Uttarakhand today is a preferred investment destination. All major Industrial Houses like TATA, Bajaj, Hero Honda, Hindustan Liver Ltd, Nestle, Britannia, ITC, Birla Tyres, Asahi Glass and many more have their factories in districts of Uttarakhand. The economic development will work towards creating employment and income opportunities for its people and, simultaneously, augment the resources of the state. 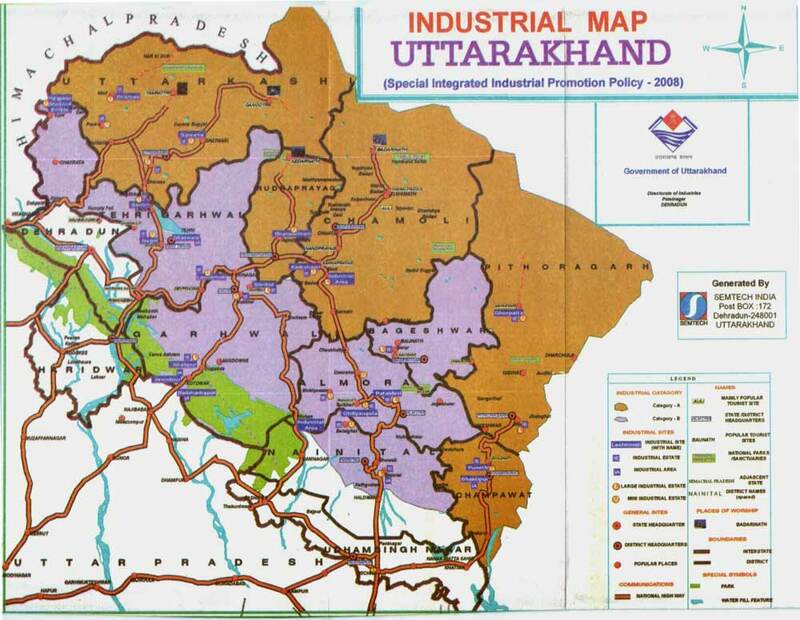 Uttarakhand is 27th State (Birth November 9, 2000). It covers an area of about 53483 Sq Kms. The state has an unique Ecosystems diverse Flora and Fauna ,Sanctuaries, Wildlife Parks etc.